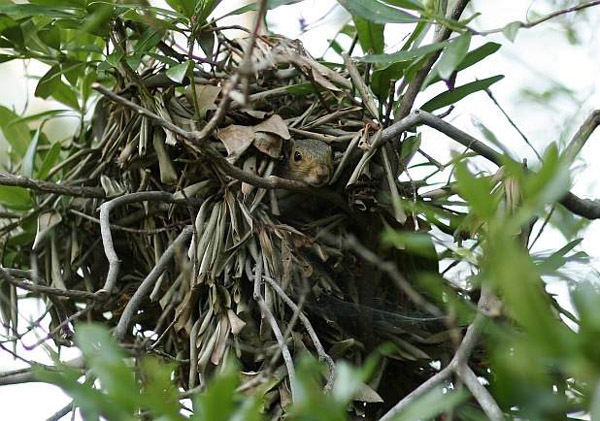 Shooting of grey squirrels can be a very effective method of control, especially in early spring when young shoots are showing in trees. On a sunny day grey squirrels will work in the outmost branches of a tree chewing the new shoots and can present an easy target. Drey poking squirrels and shooting them with shotguns is an option during the winter months, squirrels can also be shot with a rifle or air rifle. A shotgun or powerful air rifle would be suitable for this form of control but remember, as with all shooting, assess your background before taking any shot. If in doubt don’t shoot. 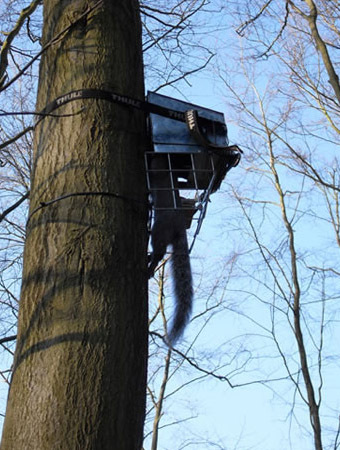 A rimfire rifle would be more suitable for shooting squirrels on the ground around the base of a tree where a safe backstop is provided.